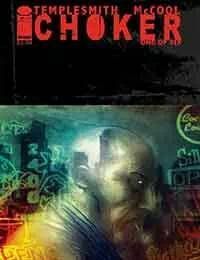 Industry superstar BEN TEMPLESMITH teams up with writer BEN McCOOL for this deliciously skewed tale of hardboiled noir. Johnny ''Choker'' Jackson, once one of Shotgun City''s most promising police officers, is a bitter private detective with a terrible case of Alien Hand Syndrome. But he''s unexpectedly been offered a job back on the force: provided he can nail a twisted drug dealer selling a very exclusive product, that is.